Vacation Ownership Properties 101 is the first in a series of articles on www.HotelLawBlog.com by Timeshare and Hospitality lawyer David Sudeck, that will discuss Timeshare, Fractional Interest, Private Residence Club, and Vacation Club properties (sometimes collectively known as “Vacation Ownership” or “Shared Vacation Ownership” properties). David recently joined JMBM’s Global Hospitality Group® and will focus on the hospitality industry’s growing needs in the area of “shared vacation ownership.” This article will provide the foundation for the timely articles that will follow, including those that will discuss the critical issues surrounding the development of timeshare properties as well as the workouts for properties that are not yet fully constructed or not yet sold out. How did the “vacation ownership” concept start? Vacation ownership Industry lore claims that timeshares originated in the 1960s as a way for skiers in the French Alps to stay at the same resort annually at the same time each year without having to purchase a condominium. It is said that the developer of this original timeshare resort apparently marketed it with the slogan, “no need to rent a room, buy the hotel – it’s cheaper!” The timeshare concept was introduced to the United States in the 1970s in Florida (the state that still boasts the greatest number of timeshare properties). Consumers at that time were facing the 1973 oil crisis that weakened the global economy and Americans were looking for ways to reduce their spending. Many potential purchasers of whole ownership vacation properties elected not to incur the expense associated with buying and maintaining a condominium that they would use only periodically. This meant that certain Florida vacation condominium developers were strapped with unsold units (sound familiar?). Certain of these developers decided to utilize the timeshare legal structure to sell interests and use rights (i.e., “intervals”) in the unsold units. These intervals could be sold at a fraction of the price of the whole condominium, which was appealing to consumers. Developers were happy, too, as the sum total of the sales prices of the intervals (e.g., the sales prices of 51 or 52 individual weeks) would in many instances meaningfully exceed the sales price of the condominium if it were sold to a single purchaser. What is the role of Exchange Companies? Not long after the concept of timesharing was introduced in the United States, the first vacation exchange company, Resort Condominiums International (or “RCI”, now “Group RCI”), was established. The concept of exchanging a one-time right to occupy a particular property (at the buyer’s “home resort”) for the one-time right to occupy a different buyer’s “home resort”, usually in a different geographic location and during a different part of the year, provided important flexibility that has fostered the growth of the entire industry. The formula for exchange values is based on the rating of the resort quality, the demand for the resort, the season/time of the interval in question, and the resort’s unit size for both the deposited and the requested intervals, as well as when the week being exchanged was deposited by the exchangor. A majority of the timeshare vacations taken each year are arranged through exchange companies. There are now several exchange organizations; however, Group RCI (3 million members worldwide and 3,700 affiliated resorts) and Interval International (2 million members worldwide and 2,400 affiliated resorts) are the two largest. There are approximately 137 Fractional resorts and 53 Private Residence Club resorts in 33 States, with Colorado dominating this segment of the industry . . . and California coming in at second . . .
What defines the various categories of vacation ownership? Despite the simplicity of the basic concept underlying shared vacation ownership (sharing ownership or use of accommodations with other people), the variety of types and usage rights of vacation ownership products can make them difficult to categorize. “Timeshare” is the general term used to describe “a method of use and/or shared ownership of vacation real estate where purchasers acquire a period of time (often one week) in a condominium, apartment or other type of vacation accommodation.” See American Resort Development Association’s (ARDA) “Timeshare Terminology” for additional industry-related definitions. A “Fractional Interest” and a “Private Residence Club” (or “PRC”) are upscale versions of timeshare. They feature the use of extended time periods (well beyond one week per year) and offer larger units and luxury hotel amenities. Fractional Interests are always deeded properties, whereas a Private Residence Club can be based on a different legal structure. Typical shares are 1/4th,1/6 th, 1/7 th, 1/8 th , 1/10 th or 1/12 th interests in a unit in a particular resort, allowing the buyer use rights during an equivalent portion of the year (4 to 13 weeks). These products comprise a relatively small — but fast growing — segment of the industry. A “Vacation Club” is typically a points-based system, based on contractual rights of usage rather than the ownership of a real estate interest; this structure typically allows the point owners, or program beneficiaries, to use the property for a certain amount of time each year for a specific number of years. Members of a points-based system use points to pay for vacations, with the price of the stay expressed in points. Values are based on unit size, resort location, season/demand, quality of the resort, and amenities. Points can also be used for the purchase of other goods and services, such as airline tickets, car rentals, hotel and cruise stays, and even restaurant meals. Today, most timeshare companies offer some points-related product, as they extend the flexibility of property usage options for the owner. The use of points has also increased the competition among developers to provide more and more redemption opportunities. All of these should be distinguished from a “Destination Club,” where members typically enjoy the shared use of a portfolio of luxury properties through a non-equity or equity membership interest in a club. With most Destination Clubs, the members do not have any legal ownership interests in any of the Clubs’ properties. Most of these Clubs require the payment of a substantial initial membership fee and annual fees; however, these Clubs typically pay the members back 80-100% of their initial membership fee when the members leave the Club. What are the primary differences in vacation ownership products? How big is the vacation ownership market? As of January 1, 2008, approximately 4.7 million American households owned nearly 6.5 million timesharing weeks, or the equivalent in vacation club points. The average number of timeshare weeks owned by American households has recently been growing by over 6% annually (though this growth may have slowed during our current economic crisis). These consumers have purchased weeks and points at the approximately 1,650 U.S. resorts that offer a combined total of over 180,000 timeshare units. Florida has the greatest number of timeshare resorts in the country – approximately 25% of units. California and South Carolina are a distant second and third – with approximately 9% and 7%, respectively. Internationally, there are approximately 5,400 resorts. Because of the industry’s past success and potential for growth, many of the largest hospitality companies have entered the vacation ownership industry, including Disney, Four Seasons, Hilton, Marriott, Radisson, Ritz-Carlton, Starwood, and Wyndham. The entry of these players into the market, with their substantial funding (both for development and to assist consumer purchases) and credibility to potential buyers, has helped the industry grow even faster. A study by ARDA International Foundation (“AIF”) estimated that traditional timeshare sales in the United States totaled $10.6 billion in 2007, approximately a 6% increase over 2006 sales, which was approximately 16% higher than 2005 sales. Fractional and Private Residence Club sales volume was approximately $1.5 billion more, bringing total new sales for the shared ownership industry to approximately $12.1 billion. Source: State of the Vacation Timeshare Industry: United States Study, 2008 Edition. ARDA International Foundation (AIF). There are approximately 137 Fractional resorts and 53 Private Residence Club resorts in 33 States, with Colorado dominating this segment of the industry (with 36 resorts, representing 14.2%), and California coming in at second (with 20 resorts, representing 7.9%). Private Residence Club projects are much more concentrated in the Mountain region (where high prices and scarcity of land make the higher purchase price product appealing); approximately 46% of existing PRC projects are located in Western mountain destinations. 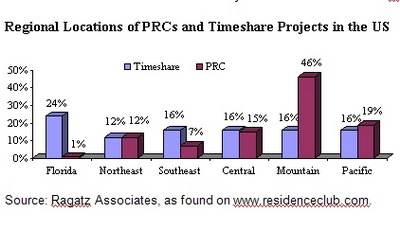 Florida may host as few as 1% of PRC’s. Source: Ragatz Associates, as found on www.residenceclub.com. 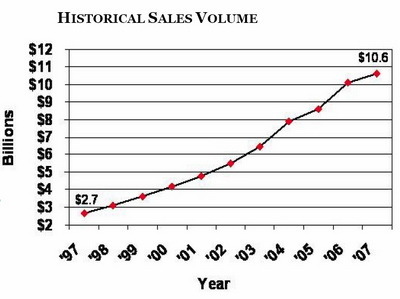 What has led to the growth and success of the timeshare industry? The industry has been an important contributor to the California and national economies. However, look for a discussion in a future article about how the industry may be affected by the current economic crisis. The industry has a small group of lawyers and consultants who have the experience to advise on the issues . . .
Due to the extraordinary growth of the timeshare industry, as well as some unscrupulous sales practices surrounding some of the early projects, the industry is now heavily regulated on a state-by-state basis. Most of the Departments of Real Estate or Attorney General’s offices throughout the country have consumer protection laws relating to the registration and sales of the various products, broadly defined as “timeshare.” Many of these laws require a full registration of the product with the state prior to marketing a timeshare product within that state (whether the resort is located inside or outside of that state). These laws also usually include a non-waivable “cooling off period” to allow a prospective timeshare interval purchaser to rescind their contract after signing. This period also serves (or should serve) as a time when the consumer can confirm their understanding of what they are purchasing — again, the legal rights and obligations relating to a vacation ownership product can differ greatly depending on the structure of the offering. Certain of the Destination Clubs that are not regulated by timeshare laws have joined the Destination Club Association and adopted their Code of Responsible Business Conduct, which requires its members to follow its “Industry Best Practices” relating to consumer disclosures and financial transparency as well as offer club members a 7-day rescission right. What do developers need to know about shared vacation ownership properties? The industry has a small group of lawyers and consultants who have the experience to advise on the issues outlined above. We know the questions to be asked and the potential pitfalls that can impact the success of a shared vacation ownership project. A market feasibility study is as important for a timeshare project as it is for any other type of real estate development. It is equally important to have appropriate legal advice from a firm with experience with project documentation. Hotel and timeshare lawyers with JMBM’s Global Hospitality Group® are experienced with all of these product types (including their development, management, and branding) and the registration of them for sale, if applicable, in numerous states. JMBM is a member of ARDA. Thank you to ARDA for serving as a source of information for this article. 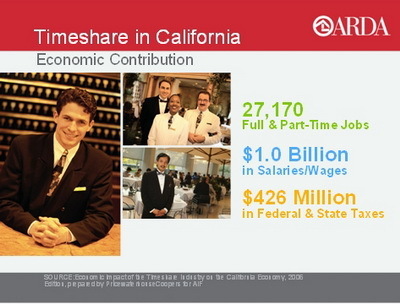 See the AIF Toolkit at www.ARDA.org for more statistics and graphics relating to timeshare. Certain information above was also based on a research article by David Bowen called “Timeshare Ownership: Regulation and Common Sense”, see 18 Loy. Consumer L. Rev 459 (2006). JMBM is a member of ARDA. Thank you to ARDA for serving as a source of information for this article. JMBM is a proud member of ARDA (see www.arda.org). If you are, or are considering, developing a timeshare, fractional interest or condominium hotel project or if you are considering modifying the project documentation of an existing project, please contact David Sudeck, a senior member of JMBM’s JMBM’s Global Hospitality Group®. David can be reached at dsudeck@jmbm.com or 310.201.3518. 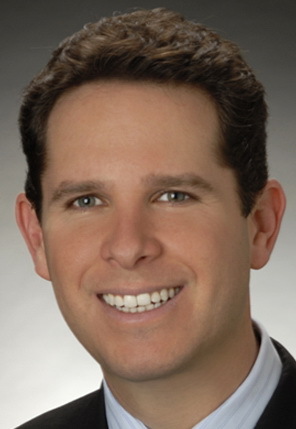 Look for David’s timeshare articles under the “Timeshare” HOTEL LAW TOPIC tab at the top of the home page on HotelLawBlog.com.